There aren’t many games that let you recall the time you knocked an old woman unconscious with a freshly baked blueberry muffin while she was distracted by a Big Mouth Billy Bass in an upstairs corridor of a suburban house. Or that time you gave a tattoo directly to a man’s eardrum after walking boldly into his drug-funded mansion pretending to be a famous, reality TV star, artist who’s mysteriously lost all his own ink and comes sporting an entirely different face. That’s all there still, but plenty has been changed for Hitman 2, particularly when you compare it to the 2016 Hitman reboot. The last series entry arrived in perfectly packaged episodic chunks, regularly delivering players brand new sandboxes to mess around in, with locales ranging from Italy’s Sapienza to Japan’s Hokkaido. In between that you could take down timed Elusive Targets that would spring up for a one time kill opportunity that meant the community would be sharing their impressive feats of assassination for the periods between episodic releases, like the Angel of Death / adorable grandma Etta Davis. It was a neat idea, and maybe it didn’t pay off as much as IO Interactive had hoped, but it felt new, and fresh, in a similar way that Epic Games now manages to almost ship a new game every week with Fortnite. 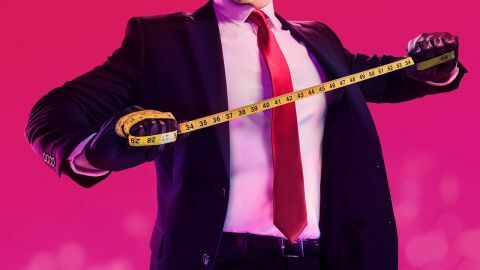 Hitman 2, though, has ditched the episodic release schedule and you’re getting all six locations in one full-priced package, complete with an overarching story and several chunky extras, including Sniper Assassin and Ghost game modes - although more on both of those later. But, unfortunately, you can tell from the second you try to install Hitman 2 that it was designed as an episodic release originally, and the machinery of that delivery system is evident everywhere. For instance, you have to download each of the six levels separately (which means each one has their own set of trophies on PS4, if that bothers you), along with another chunk that counts as the ‘main game’. That might sound fantastic for anyone wanting to just download the first level and get playing, but actually is just a sneak preview at how fragmented the game can feel. Then, when you’ve downloaded the game’s various sections and booted it up, you’ll actually have to navigate past the story of 2016’s Hitman before you can get to the new stuff. If you bought the last Hitman, you’ll have access to them all here. But if you didn’t, they’ll serve as a constant reminder that Hitman 2 is the sequel to something that you don’t own, and probably should, but also really reinforce the overarching feeling that Hitman 2 is like an expansion pack to those episodes rather than a complete sequel. It doesn’t help that the cutscenes that play out between Hitman 2’s six levels are really nothing to write home about. While the briefings that introduce each level are beautifully rendered in the game’s engine, the actual story cutscenes are odd animatic affairs, which don’t do justice to the substantial story narrative on offer - even if it does rewrite Agent 47’s origin story somewhat. I found myself regularly tuning out to the cutscenes because they are so disengaging, and having to go back through them to make sure I understood why I was taking down all of these various targets. Of course, it doesn’t really matter in the grand scheme of being an assassin, but those who are here for Hitman lore may struggle with the story delivery outside of the missions themselves. However, although there are definitely quirks to Hitman 2 there’s also plenty to praise. Each level is a beautifully crafted sandbox playground that you’ll want to frolic and cause havoc in for hours on end. Not literal sandboxes mind, can you imagine the sand issues with all those costume changes? Technically the first level is set in a house on the edge of a beach in New Zealand with an impressive thunderstorm backdrop, but from there you’ve got the glorious sun-drenched splendour of an F1 race in Miami; the Columbian town of Santa Fortuna where a drug cartel calls their base; the densely packed streets of Mumbai; the tasteful garden parties and picket fences of American suburbia in Whittleton Creek; and the masquerade ball of a secret organisation that you can only join if you pay a seven figure members’ fee. "These little worlds are filled with opportunities"
There are plenty of nods to old Hitman games - from assassination opportunities to entire level concepts - and also little in-jokes for those who have explored the climes of the episodic release. That, combined with the variation between each setting, the vast amounts of NPCs that you can interact with, hide amongst and generally cause trouble with is astonishing. These little worlds are filled with opportunities - both scripted and otherwise - and even though things may feel a little predictable at time, and sometimes you can feel like poison is just the go-to assassination tool of choice for the Mission Stories on offer (Hitman's guided opportunities that can walk you through scripted and often fun/hilarious/'Oh Christ what have I done' target eliminating set ups), there’s no denying that Hitman 2 is gorgeous, playful and just a whole lot of bloody good fun. Pun absolutely intended. Of course, like the Hitman episodes that came before it, this is a game that thrives on replayability. If you’re having a good run and only need a couple of ‘oh dear God this has gone to the dogs’ reloads, an average level run takes about an hour of real-world play time - and that goes by in a flash. You’ll be able to see a Mission Story for each character through in that run, but the game will strongly recommend you pretty much explore each one to understand the full story before moving onto the next level. And it’s definitely worth it too, because not only can they provide some comic genius, they’ll also show you the level in full. Each level is packed with secrets areas, odd NPCs, potential costume changes, weapons, entrances and exits and more. It really is a playground, and the Missions are a guide. It’s up to you to come back later and use your creativity to craft your own stories with the tools on offer in each one. That’ll help you in Ghost Mode too, the brand new multiplayer on offer with Hitman 2. It’s basically playing through each level again, but there are two assassins working to take out the same, randomly generated target. All - and I say all - you’ve got to do is beat them to the kill. Kill anyone apart from the target and you’re opponent will be notified, so trying to cause as little ruckus as possible is definitely the way you want to go, but of course, as with all things Hitman, your best intentions may not always come to fruition. I’ve not had much chance to mess around with Ghost Mode in this pre-release stage due to matchmaking issues, but when I have it’s been glorious, messy fun; the kind that keeps your heart firmly wedged in your throat and your palms vaguely sweaty. It’s is a shame though that Sniper Assassin Mode only comes with one map. For anyone who preordered the game and has been playing that map ever since, it came as a bit of a disappointment that there’s still only that one locale to devour. However, the Ghost and Sniper Assassin Modes are merely meant to round out the main package of those six story Hitman 2 levels, adding to that sense of replayability and discovery that’s always been at the series’ core. There's definitely no innovation here; it's more of the same Hitman gameplay that we've seen for years beforehand, and I fear that Hitman 2 is arriving at a time where it just can't compete with the likes of Red Dead Redemption 2, Assassin's Creed Odyssey and Fallout 76, particularly in the open-world sandbox genre. Plus, there are definitely oddities to the presentation of Hitman 2 that suggest it was a little rushed out the door, but I can’t fault the fact that it offers delicious, murderous fun right from the get go. And that’s really all you need from Hitman 2.